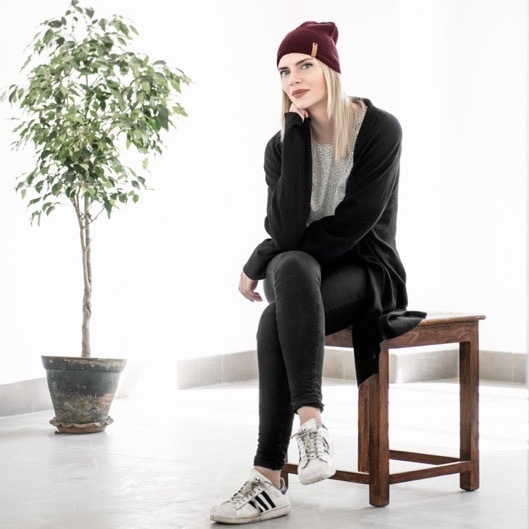 Finely knit in super soft merino wool with a clean and minimalistic design, the Emma Hat is a light weight classic designed to fit snugly around your head but long enough to give the hat a little extra length on the top. Knit in 5-ply extra fine merino. Unisex. Hand knit in 8 hours. and get a 10% off coupon.